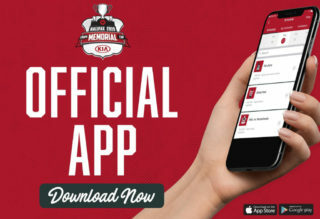 Following the Championship Final, the Canadian Hockey League announced the top individual award winners and tournament All-Stars for the 2013 MasterCard Memorial Cup as selected by NHL Central Scouting. 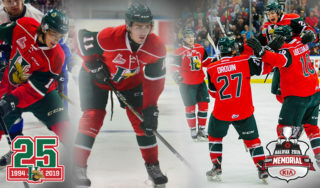 Nathan MacKinnon of the Halifax Mooseheads claimed two major awards including MVP and Top Scorer highlighted by his hat-trick and two assists in the Championship Final. The 17-year-old Nove Scotia native and top rated prospect for the 2013 NHL Draft finished the 2013 MasterCard Memorial Cup with 13 points in four games including seven goals and six assists. 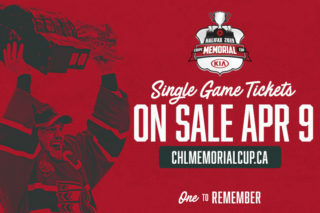 His hat-trick in the Championship Final was his second of the tournament after scoring three goals and one assist in the Mooseheads’ opening game against the Portland Winterhawks. His 13 points is also the highest since 1997 matching Christian Dube with Hull. Bo Horvat of the London Knights was named Most Sportmanlike Player of the 2013 MasterCard Memorial Cup. The 18-year-old from Rodney, ON, and 2013 NHL Draft prospect finished second in team scoring with five points in five games and did not record any penalty minutes. Andrey Makarov of the host Saskatoon Blades was named Outstanding Goaltender of the 2013 MasterCard Memorial Cup. The 20-year-old Russian native and Buffalo Sabres prospect made 120 saves, many of them spectacular, in just four games. 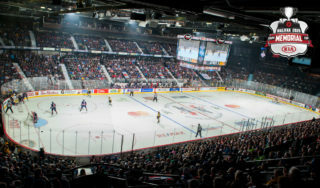 MacKinnon was one of four Mooseheads to be named to the tournament All-Star team along with goaltender Zachary Fucale, defenceman Konrad Abeltshauser, and forward Martin Frk. 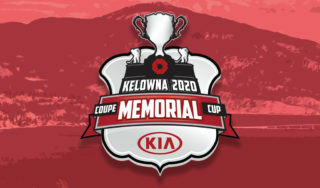 Fucale, the top ranked goaltender eligible for the 2013 NHL Draft tied for the tournament lead with a .902 save percentage in four games. 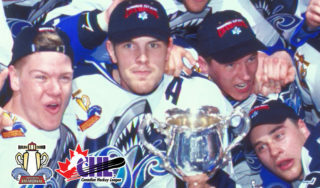 Abeltshauser finished second in scoring among defencemen with five points and tallied two goals including the game-winner plus an assist in the Championship Final. Frk, a Detroit Red Wings prospect, finished the tournament with nine points in four games scoring five goals and four assists. Also included on the All-Star team was defenceman Derrick Pouliot and forward Ty Rattie of the Winterhawks. Pouliot, a Pittsburgh Penguins prospect, led all blueliners in scoring with seven points in five games, while Rattie, a St. Louis Blues prospect finished second in tournament scoring with 12 points in five games recording six goals and six assists.